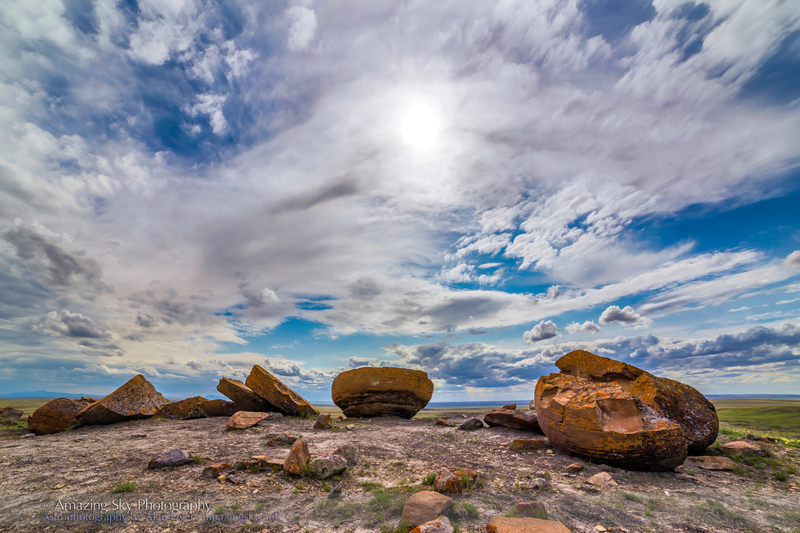 The strange rock formations of Red Rock Coulee, Alberta lie below the cloudscape of a prairie sky. 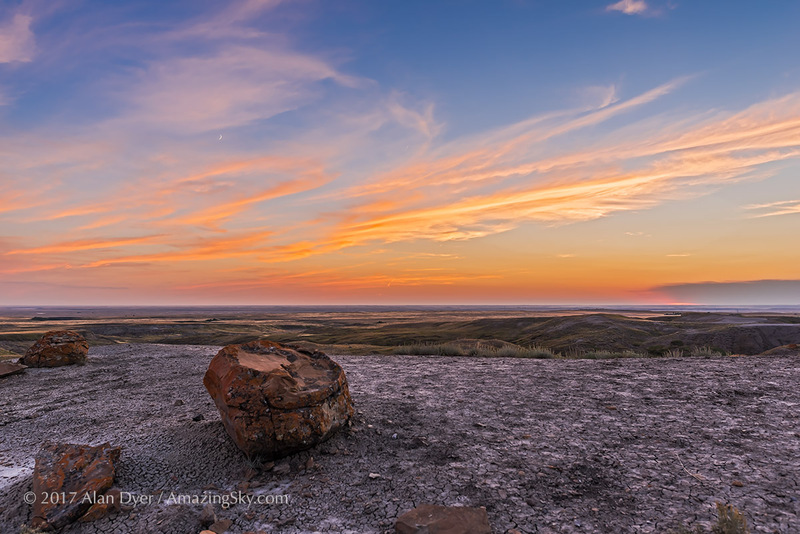 Yesterday afternoon I visited the Red Rock Coulee Natural Area, a dramatic but little known geologic wonder in southern Alberta. 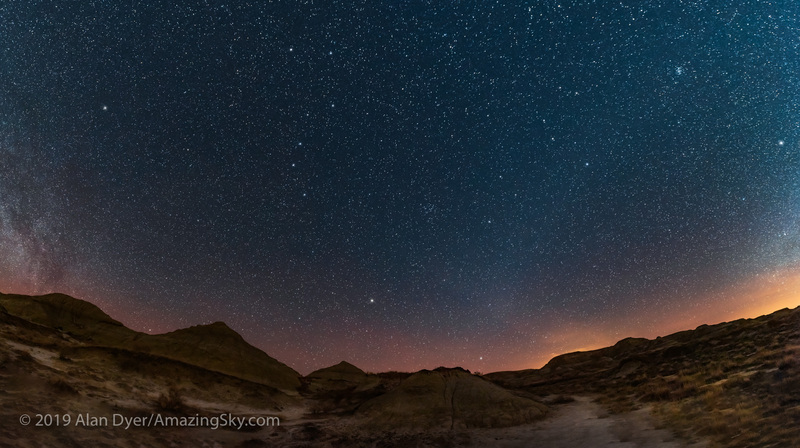 I was inspecting the site for a possible return one night to shoot time-lapse nightscapes. But while there I took the time to shoot daytime cloudscapes. 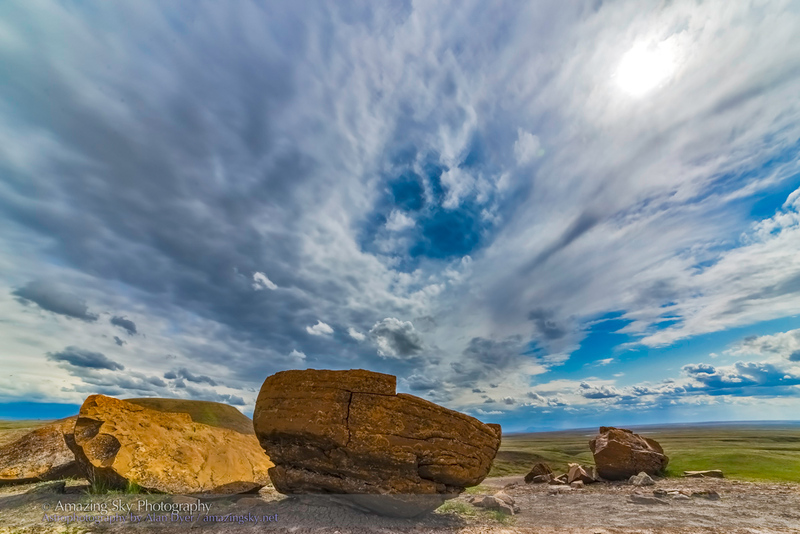 The image above is a two-section panorama with an ultra-wide 14mm lens. 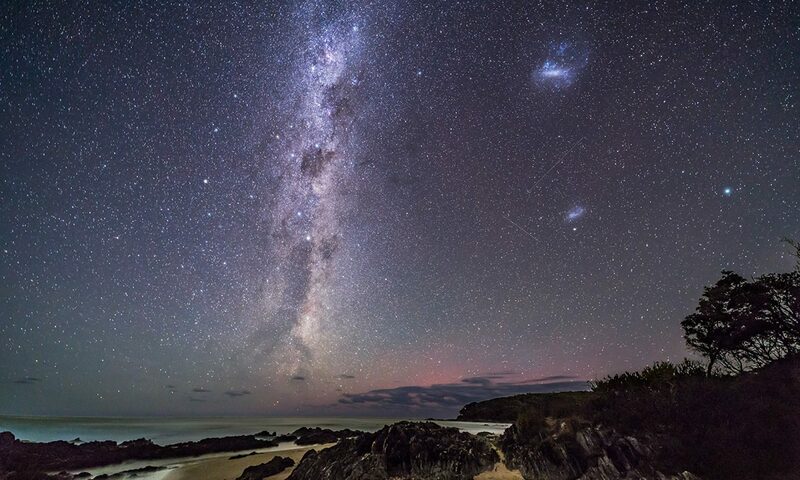 This image and the one below are other compositions in this very photogenic spot. In the distance lie the peaks of the Sweetgrass Hills in Montana. These odd rock formations are sandstone concretions deposited in prehistoric seas and are apparently some of the largest examples of this type of formation in the world. Iron content gives them their red tone. 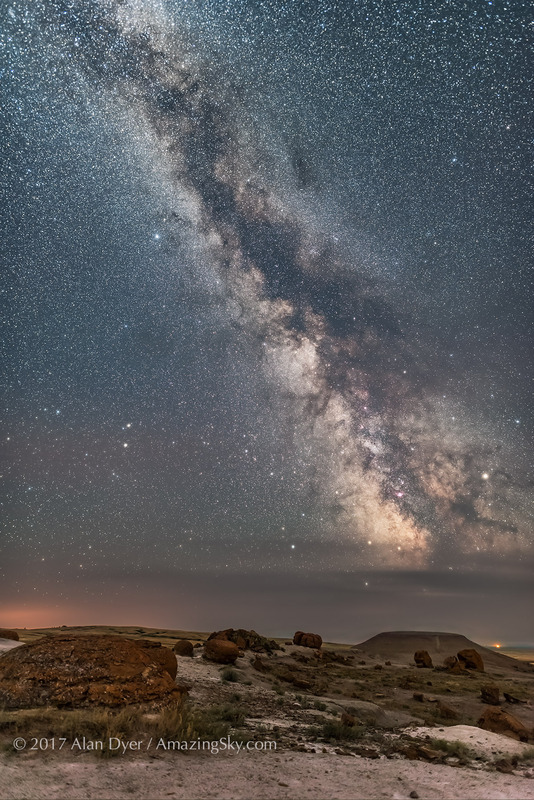 As a technical note, all the images are high-dynamic range (HDR) stacks of 8 exposures taken over a wide range of shutter speeds to record details in both the bright sky and darker shadows. I processed them with Photoshop CC’s HDR Pro module and then Adobe Camera Raw in 32-bit mode. I aimed for a more natural look than you see in most HDR images, but even so the cloud contrast is exaggerated for dramatic effect. The wide-angle lens perspective adds to the effect. 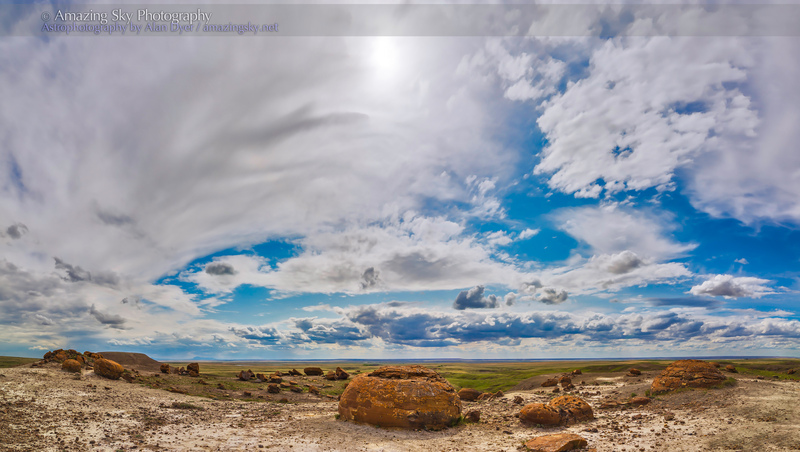 This was a wonderful place to stand under the big skies of southern Alberta on a warm spring afternoon.